Oregon's Portland Meadows, a storied racetrack that has offered live thoroughbred and quarter horse racing since 1946, has run its last race, according to a recent report from Portland Monthly. 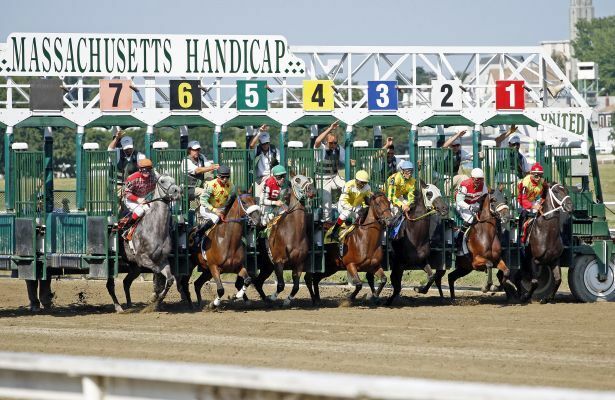 On the opposite coast, redevelopment plans have also prompted Suffolk Downs' latest (and final) closure after six more live racing dates later this year. Portland Meadows, owned and operated by The Stronach Group since July 2011, will officially close in June as the city of Portland has announced the “initial phase of Industrial redevelopment of Portland Meadows with an Urban Logistics facility," per the Portland Monthly report. In 2012, Portland Meadows moved from its traditional winter meets to a more summer-focused schedule, while also undergoing a massive rebranding effort a year later in order to attract a declining number of visitors and bettors. Its final meet ended in February. East Boston's Suffolk Downs will push out its final breath on May 18-19, June 8-9 and June 29-30. Live racing will officially cease by July 1 for the redevelopment of the site. Owned by Sterling Suffolk Racecourse, the live racing and simulcasting property, which has been in operation since 1935, was sold to HYM Investment Group in 2017. SSR announced plans last year to return live racing to the Great Barrington Fairgrounds in Great Barrington, Mass., while also continuing simulcasting in Boston. Suffolk Downs first closed in 1986 due to an expired license, and wouldn’t reopen until May 1991, when SSR leased the track from Belle Isle for $8.5 million. The track closed again in 2013 after a casino proposal — in conjunction with Mohegan Sun — was rejected. Limited live racing was brought back to the 53-acre property in 2015.